This is a message to SunBow. Bits and pieces…. 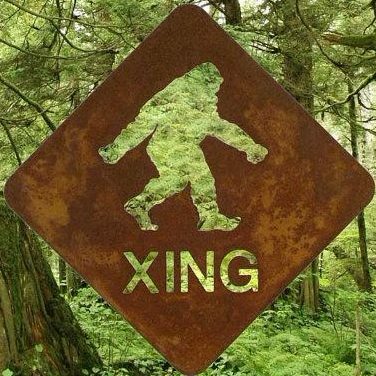 I’m new to this Sasquatch awareness although it feels ancient and right. I feel the soul connection now. I had my encounter. I was changed through that. I was once blessed with a whirlwind teaching too but now I understand it better—what that was and where it perhaps really came from. My g-g-g-g grandmother was full-blooded Cree from near Montreal. That’s always been very important in determining my spiritual path and abilities. There’s no way to text about a long spiritual path. It’s just there. So I’m letting you know that I’m here. As many more are joining. I’m trying to stay sensitive to this new awareness and direction so as to better help. Please understand that I have felt a recent flood gate of unconditional love toward my Elder who 8 years ago woke me up and ran terror through me to the core. I’m trying to repair that and have been back to the location with that intent. I feel sad that I was so confounded and overrun with fear. I’m very sorry. I’m so grateful now and so awe-struck. The only reason I am aware of your books, interviews, conferences and websites, is due to that encounter 8 yrs ago. Kewaunee’s material too. I found it about 2 weeks ago. I’m almost done with Kewaunee’s book The Sasquatch People. Just finished your 1st book. Wow! !… The books and new perspectives have been pretty life changing. Looking forward to reading all 3 books… Not entirely sure how that all happened, but very much appreciate the insights. The memory of my encounter is transformed. Permanently. I have a few friends that I can share this stuff with. Thankfully.